Physical change is a change in the properties of a substance, such as its form or state while the substance itself does not change. 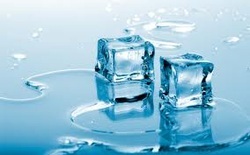 For example, melting and freezing ice is a physical change. An ice cube melting is an example of a reversible physical change. 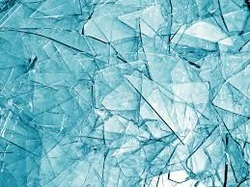 Shattered glass is a non-reversible physical change. As you can see, there are 6 changes of state: sublimation, deposition, evaporation, condensation, melting and solidification. You can also see that they are in groups of two. That is because every pair are opposites. SUBLIMATION: When the state of a substance changes from a solid to a gas. This happens when the particles get so much energy that they can break away from each other and into a gas. DEPOSITION: This is the opposite of sublimation. This happens when the particles start moving so slow and get closer together that is turns into a solid. CONDENSATION: This is when the state of a substance changes from gas to a liquid. This happens when the particles get slower an become more compact. EVAPORATION: This is the opposite of condensation. This is when the state of a substance changes from liquid to gas. This happens when the the liquid is heated, like when you boil water, steam/gas come out. MELTING: Melting is when a solid turns into a liquid. This happens when the solid get enough warmth and so the particles get farther apart causing it to turn into a liquid. SOLIDIFICATION: This is the opposite of melting, the liquid turns into a solid. This happens when the particles get closer and closer together and a solid forms. Step 1. The water evaporates into the air because of the hotness of the sun, the particles in the water nave faster and faster and away from each other which causes it to turn into gas (water vapour). Step 2. Is condensations, Now that the water vapour is in the air, the coldness from that high up causes the particles to get closer to each other turning it back into a liquid. Step 3. Precipitation, the liquid will turn into either snow, hail, or rain (depending on weather) will go back to the ground. Step 4. Runoff, where the precipitation will now drain back into an ocean, lake, etc. Dry ice is actually solid carbon dioxide so, when dry ice sublimates at -79 degrees celsius. When dry ice is placed in room temperature, it will sublimate into the air because of the heat the particles will move around at a very high speed turning it into a gas looking like a foggy smoke machine but it is actually just carbon dioxide. 1. Have a container with warm water, and put dry ice in it. The warm water will cause the particles to move around really fast causing the dry ice to sublimate into a gas. 2. Put the lid on the container so that it doesnt escape. 3. Dip you bubble blower in the cleanser and the dry ice bubbles will fill up!